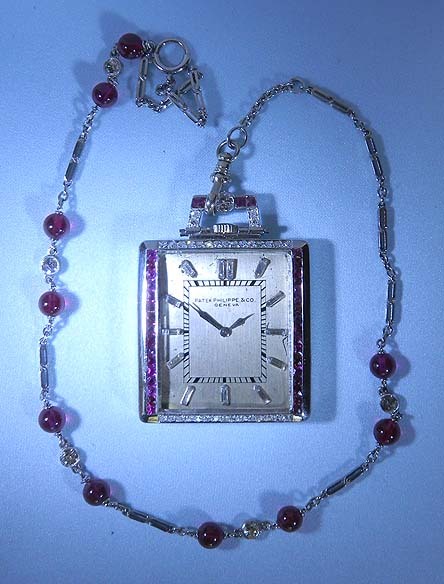 Fine and rare Patek Philippe platinum, diamond and ruby Art Deco antique dress pocket watch with matching chain circa 1923. The bezel and bow set with diamonds and rubies. 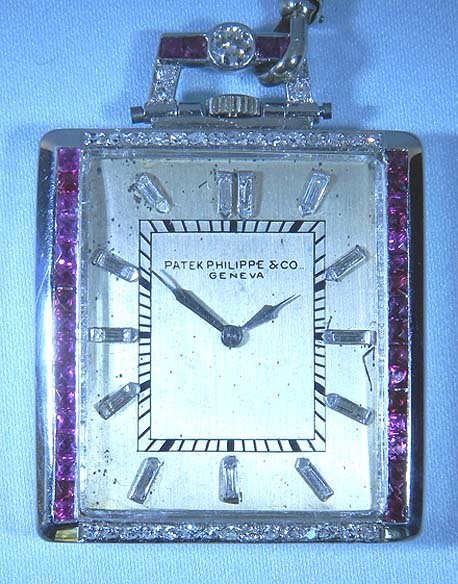 The original silver dial with applied diamond markers. 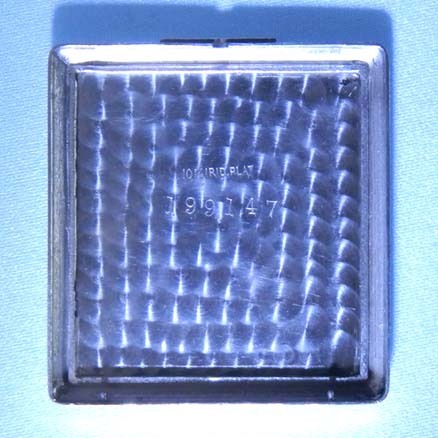 The platinum movement surround in a bullseye design. 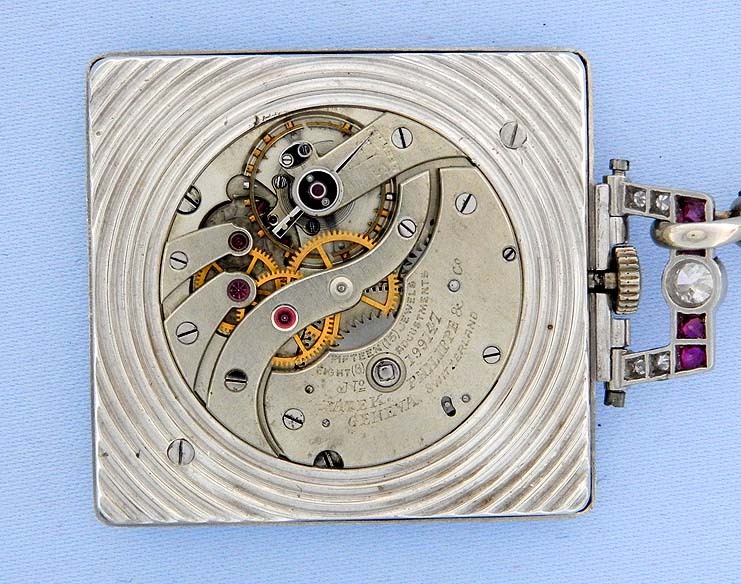 Nickel 18 jewel 8 adjustment movement with wolf tooth winding. Handsome and unusual design.